I was inspirited to write this chapter on the Covert side of our family tree after a visit this summer to the Patterson Family cottage on Crane Lake near Parry Sound, Ontario. I had not visited the cottage in 26 years, since 1982, and had forgotten how many old family photographs lay around on the table by the large stone fireplace in the living room of this large two story log cabin built in the early 1920s. Many of the earliest photographs were of the Patterson children taken in the 1930s, however after the death of their mother, my grandmother Florence Ferree (Patterson), on March 19, 1938 and my grandfather Patterson’s second marriage to Blanche Carnall, in 1939, most of the photographs also included pictures of Blanche’s children from her first marriage, Aunt Linda, Aunt Mary, and Uncle H.P. (Horace). Also included in some of the photographs were Klare and Lorraine Covert and their son Robert “Uncle Bob” Covert, the future husband of my mother’s sister, Florence Patterson. The photograph to the upper left was taken in 1941. The young man in the top row, second from the left, is Uncle Bob Covert. 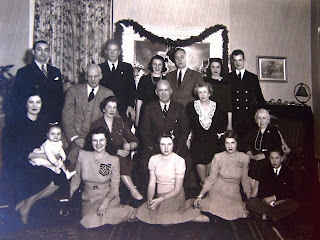 His father and mother, Klare and Lorraine Covert, are in the second row, immediately below Uncle Bob. What I found odd about this photograph was that it was taken sometime before the marriage of Aunt Florence and Uncle Bob (Aunt Florence sitting on the floor second from the right was only 16 when this photo was taken) and I was confused as to why the Coverts would have been included in a photograph of the Patterson family taken so long before the marriage of Florence Patterson and Robert Covert. After I returned from our brief stay at the Patterson cottage, I researched the Covert family tree and learned that Eleanor Lorraine Covert’s maiden name was Carnall, and she was the sister of Blanche Carnall (Patterson), the new wife of my grandfather, Douglas Ross Patterson. The Coverts in 1941 were the new in-laws of my grandfather Patterson, and Robert Covert was his new step-nephew, and therefore it was quite appropriate that the Coverts would be included in this family portrait. In the photograph on the right below taken around 1940 is my father, Charles A. Baker, top row on the right, and my mother, Marian Patterson, second row from the bottom on the right. The photograph was taken at the Patterson cottage on Crane Lake. Aunt Floren ce who was later to marry Robert Covert is sitting on the left in the second row above the young boy, my uncle Horace “HP” Patterson. While I did not find any photographs at the Patterson cottage that showed both Robert Covert and my father in the same photograph, there can be no doubt that by the early 1940s they knew each other and possibly a young Bob Covert attended my parent’s wedding on April 29, 1939. What they probably did not know at the time, and maybe never knew, was that they were distant cousins. To be exact, Uncle Bob Covert was my father’s fifth cousin, once removed, and my sixth cousin. Bob’s 5th great grandfather, Lucas Covert (1699-1778) was also my 5th great grandfather. It is a small world and this revelation was all that it took to inspire me to write this chapter on my Covert family tree. The descendant outline on the right shows the eight generations between Lucas Covert and me, Charles A. Baker Jr. On the left below, it outlines the eight generations between Lucas Covert and my Uncle Bob, Robert Edwin Covert. I am a descendant of Lucas Covert’s son Abraham whereas Uncle Bob was a descendant of Abraham’s older brother, Peter. Abraham’s daughter, Mary “Polly” Covert (1777-1870) married Peter Rappleye (1776-1858). Peter Rappleye as you may recall was the builder of the grandfather clock that sits in the living room of our Florida home and his Rappleye family is the subject of Chapter 1 in the Baker Family Tree blog at http://www.bakerfamilytree.blogspot.com/. Most of the known ancestors of Lucas Covert emigrated from Holland, all of his early ancestors in the New World lived in the New Amsterdam area (later to be renamed New York), and most if not all of his ancestors were Protestants and members of the Dutch Reformed Church in America. 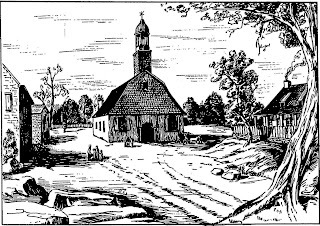 Like the Puritans of New England, many of the early Dutch settlers in New York had left the European continent to avoid the religious conflicts between the Protestants and the Catholics that were taking place in Northern Europe in the second half of the 16th century and early 17th century. They also sought to escape the constant threat of persecution and even death posed by the Roman Catholic Spanish. While much of the early immigration to New Amsterdam or New Netherlands in the Americas originated from ports in Holland it cannot be assumed that all of the early immigrants were of Dutch descent simply because they had Dutch names. It was well known in the later part of the 16th century that Holland offered a religious freedom not found in many of the other European countries. The English Pilgrims lived in Holland before they departed on the Mayflower to Plymouth. Many of the French Huguenots and Walloons from northern France and Belgium sought sanctuary in Holland from the persecutions of the Roman Catholic Church. The Rapalje (Rappleye) branch of our family discussed in Chapter 1 lived in France before they moved to Holland. There they acquired the Dutch spelling of their surname and in 1624 immigrated to New Amsterdam. We believe that many of the Covert ancestors may have originated in other parts of Europe as well; however in some cases with the change in the spelling of their names, and the absence of hi storical records, we are unable to determine the original origin of some of the family branches. The family tree on the left shows the known ancestors of Abraham Covert, my 4th great grandfather. As you can see most of them have Dutch names. The earliest Covert to arrive in America, was Teunis Janse Covert, who immigrated with his wife in 1651. 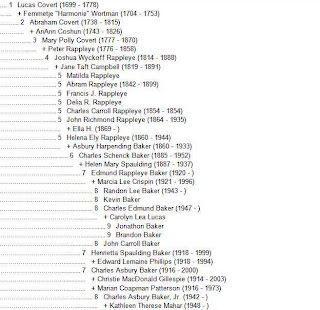 History records several spellings of his last name including Coevors which is the spelling in many of the earliest church records. We will discuss Teunis Janse Covert and his descendants in subsequent paragraphs. Also on the family tree is the name John Seals which clearly is an English name although most of his life in America was spent in New Amsterdam where he was known by his Dutch name Jan Celes. “Old Jans” as he was referred to in his later years was quite a character as will be revealed in subsequent paragraphs. Finally, the father of Dirck Janse Woertman is believed to be an Englishman by the name of John Workman, who moved to Holland in the early 1600s probably for religious reasons. We will also discuss the Woertman family and others in subsequent paragraphs. The life of John Sales (or Seals), my 9th great grandfather and the 3rd great grandfather of Abraham Covert, is well documented in colonial history although mostly as a result of his notorious ways rather than for his good deeds, and consequently he deserves the title of the black sheep of the Baker Family Tree. John Sales was born in England around 1594. His early personal life in England including the location and date of his birth (there are some records of his birth being as early as 1585 and as late as 1602), the dates of his first marriage and birth of his daughters is unclear although based on all of the data written about John Seals, the following history is commonly accepted. John married Phillip Soales in Little Waldingfield, in Suffolk County, England on August 11, 1625. Their first daughter Phoebe (or Phebe), my 8th great grandmother, was born in May of 1626. There are parish records showing that a second daughter, Sarah, was born in 1628 although she may have died young before the family immigrated to the New World in 1630 as there is no further mention of Sarah in the New England colonial records. Based on some of John Sales’ later legal problems both in New England and in New Amsterdam, it is not a stretch to speculate that John Sales’ emigration to New England with his family in 1630 was motivated more by his need to escape from the law or his debts rather than any personal desire on his part to seek religious freedom. While the name of the ship on which John, his wife, and his daughter sailed to New England in 1630 as a part of Winthrop’s fleet of ships carrying 1,000 passengers is unknown, his passage with his family is recognized as fact by the Winthrop Society on their website, www.winthropsociety.org. The family initially settled in Charlestown, near Boston, and his name is recorded as a member of the First Church of Charlestown in August of 1630. John’s troubles began in 1632. It is written that there “happened in this town [Charlestown] the first known thief that was notoriously observed in the country, his name was John Sales who having stolen corn from many people in this scarce time was convicted thereof before the court and openly punished [whipped] and all he had by law condemned and sold to make restitution.” It is not recorded when John’s wife died although I hope that she died before she was disgraced by her husband’s actions. In 1633, John with his young daughter moved to Boston where again in April of 1633 ”John Sayles (Sales) being convicted of feloniously taking away corn and fish from diverse persons the last year and this, as also clapboards, etc., is censured by the court after this manner: That all his estate shall be forfeited, out of which double restitution shall be made to those whom he hath wronged, shall be whipped, and bound as servant with any that will retain him for 3 years, and after to be disposed of by the Court as they shall think meet. John Sayle is bound with Mr. Coxeshall for 3 years, for which he is to give him 4 pounds per annum; his daughter is also bound with him for 14 years [until she was 21].” In March of 1634, John Sales is again ordered to be “severely whipped”, this time for running away from Mr. Coxeshall. Sometime in late 1637 John Sales and his daughter fled or ran away from the Puritans in Massachusetts and no further mention is made of him in the Massachusetts records. In 1638, John Sales and his daughter resurfaced in the more liberal Dutch colony of New Amsterdam. His name is recorded as Jan Celes on a 1638 property lease (or possibly on a property grant) on the Dutch controlled Island of Manhattan. His land, his “Plantation,” after his death was referred to in colonial records as “Old Jan’s Land” and is located on modern maps as west of MacDougal Street, 251 feet north of Canal Street, south of Charlton Street, and east of the west branch of the Hudson River. The Holland Tunnel now passes under “Old Jan’s Land” which is located just south of Greenwich Village, prime NYC real estate. Jan Celes was later recorded by a Dutch clerk as being from “Jarleston” [Charlestown] in [New] “England”. Phoebe’s name in Dutch was recorded in a number of different ways including Femmetje Jans (daughter of Jan) and Phabea Faelix (the Faelix being a Dutch version of the English Sales or Seals). 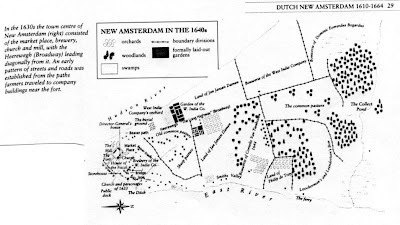 While the map below does not show the land of Jan Celes, “Old Jan’s Land”, it is known that his land was located just north of the land of Dominic Everadus Bogardus which is shown on this 1640 map of New Amsterdam in the upper right hand corner, not far from the southern tip of Manhattan Island which in 1640 formed the nucleus of the Dutch community. Phoebe at the maiden age of only 14 married our 8th great grandfather, Teunis Nyssen Denyse, age 20, on February 11, 1840. Her father, now Jan Celes, married Maria Roberts, the widow of Jan Sloofs, on August 21, 1644. Unfortunately for Phoebe, her father’s rather outrageous behavior in New Amsterdam, while not illegal as it was in New England, continued and his name was mentioned frequently in the court records beginning in late 1638 and continued to be mentioned even following the date of his death in 1645. In November of 1638 Jan Celes was sued by his neighbor for damage done to his property by Celes’ hogs. Jan Celes was ordered to pay a fine. Shortly thereafter Celes was sued for failure to pay for some peas that he ordered. He was directed to pay for the peas. In March 1642, Jan apparently shot some of his neighbor’s hogs and sold the meat. He was arrested and later directed to pay for the hogs and pay the court costs. Also in 1642 he was sued for slander and while the case was dismissed he was directed to pay the court costs. In February 1643 he was again sued for failing to pay for some tobacco that he had ordered; in June 1643, he was sued for failing to pay for some work he had had performed and in November 1643, he chased and wounded a neighbor’s cow. In each case he lost in court and was ordered to pay restitution to the plaintiffs. The courts must surely have grown tired of dealing with Old Jans who actually in 1643, was only 48 years old, hardly old by today’s standards. However, on the 17th day of April, 1645, Jan Celes prepared his last Will and Testament “who, being wounded and lying sick abed”, knew that he was dying. While no records exist to explain how he was wounded, it would not be surprising to discover that he was rewarded for his outrageous behavior by a fatal blow to his body by one of his neighbors. Jan Celes (John Sales) left half his property to his son-in-law, Teunis Denyse, and half to his wife, Maria Celes. His wife’s share was for her life use only, provided that she remains a widow, and upon her death her share would pass to his children or their heirs. Maria must have thought that marriage was more important than her late husband’s property for she remarried before the end of 1645. Her new husband, Thomas Gridy, age 60, was of a similar disposition as her former husband, Jan Celes, for sometime after their marriage Thomas was sentenced to be publically whipped and to be banished from the colony for twelve years. Fortunately, Maria, who exhibited such foolish judgment, was not my great grandmother although that still leaves us with the bad genes of John Sales, a/k/a Jan Celes, in our family tree. As previously stated, Teunis Jansen Covert is believed to be the progenitor of the Covert family in America. He was born around 1620 in the village of Lommel located in present day Belgium near its northern border with the Netherlands. In the 1620s, Lommel and most of Belgium was part of the Spanish Netherlands and the only accepted religion in the area, at least by its Spanish rulers, was Roman Catholicism. To the northeast of the Spanish Netherlands was the United Netherlands, an area where the Protestant religion was the predominate faith and tolerance of all religious faiths was the practice. It is for this reason that the Pilgrims sought refuge in Holland (Netherlands) before embarking on the Mayflower to America in 1620, the Protestant Dutch Walloons including our ancestors Joris Janseen Rapalje and his wife Catalyntje Trico (see Chapter 1,) sought refuge before sailing to New Amsterdam in 1624, and Marie Warenbuer Ferree and her family (see Chapter 6) fled to the Netherlands from France and from Catholic persecution before emigrated to America in the early 1700s. We do not know whether Teunis Jansen Covert moved north to Heemstede in North Holland with his parents when he was young or at a later date, however it is safe to assume that the motivation behind his move was to escape the hardships imposed on them as Protestants by the Spanish. F urthermore, the period of 1618 through 1648, today known as the Thirty Years’ War, was a period of almost continuous warfare between the Spanish (Roman Catholics) and the Dutch (Protestants) over the control of the Netherlands. The war was finally settled in 1648 with the Treaty of Munster wherein Spain accepted the United Netherlands as a sovereign nation. Teunis Jansen married Barbara Lucas Van Kessel in December of 1645 near her hometown of Hoorn located in North Holland, the peninsula shown on the map north of Amsterdam. After their marriage they moved to Teunis’ home in the village of Heemstede located just south of Haarlem and east of Amsterdam. Barbara and Teunis raised four children between the date of their marriage and their departure to the New World in 1651. Their youngest child, Jan, was born in January of 1651; their oldest child, Lucas Teunise, my 9th great grandfather, was born on February 24, 1647. The parents embarked for New Amsterdam sometime in the early summer of 1651 leaving all four of their children behind with relatives. We can only speculate what motivated Teunis and Barbara to leave the Netherlands for America and leave their four children behind. The war had ended in 1648 and the Netherlands had become a prosperous nation. It may be however, that after the close of the war the influx of new immigrants into Holland resulted in a high unemployment rate despite the general prosperity of the nation as a whole. Teunis may have had trouble finding a job and he may have been influenced by the constant advertised promises by the Dutch West India Company of free passage to and free land grants in America and New Amsterdam in exchange for a short period of indentureship to cover the company’s expenses. Unlike the Puritan migration to the north in New England, the Dutch West India Company was a business venture that required workers and was expected to show a profit. They therefore encouraged and even sponsored the migration of young singles and young married Dutch men and women without children. The company was less interested in starting a new settlement in America than they were in promulgating a business, especially the fur trading business, and children were no help to them in achieving these goals. It is possible that the only way for Teunis and Barbara to take advantage of the company’s offer was to leave their children behind and send for them later. Incidentally, this attitude on the part of the Dutch West India Company was not appreciated by many of the early Dutch settlers of New York and when the English finally gained control of the area by treaty in 1674, the change in the political control of the colony was welcomed by many of the Dutch settlers. 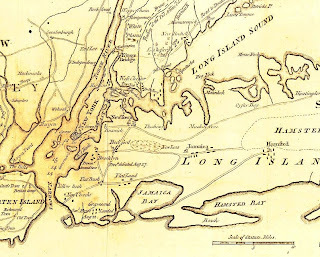 Teunis and Barbara lived in New Amsterdam on the southern tip of Manhattan Island from the time of their arrival in 1651 until they moved out to Bedford on Long Island in the year 1660. In 1660 Bedford was a small growing community located just east of the village of Breuckelen (Brooklyn). While in New Amsterdam the family had grown by three with the birth of a child in 1653, 1654, and 1658. Church records show that they were members of the Dutch Reformed Church in New Amsterdam. In the 1667 map of Brooklyn shown on the left, Bedford is located in the lower right hand corner, southeast of “Brookland [Brooklyn] Parish” and almost due south of Wallabout Bay off the East River. In the upper left hand corner of the map is the tip of Manhattan Island. In the 1600s a ferry operated from Manhattan to Brooklyn and from there the road ran southeast through Bedford. Joris Jansen Rapalje, my 8th great grandfather (and the subject of Chapter 1 in my Baker Family Tree Blog) occupied and farmed a major parcel of land that fronted on part of Wallabout Bay (now the site of the Brooklyn Naval Yard). As the map clearly shows, in the 1660s most of what is now Brooklyn was a series of large farmlands. In 1663, the four children of Teunis and Barbara arrived from Holland to reunite with their parents at their new home in Bedford. Lucas Teunise, the oldest child was sixteen years old when he arrived in America with his two sisters and one younger brother. From the year of 1663 forward, Teunis Covert’s name appears a number of times in the public and church records although the historical records reveal little information about his life. In 1676 and 1683 his name was listed as having been assessed in Brooklyn. In December of 1663 he and Barbara witnessed the baptism of their youngest child, Mauritsz. In May of 1683, Teunis was listed as a witness at the baptism of his son Lucas’ twin sons, Abraham and Isaac (my 5th great uncles). In 1687, Teunis Covert signed the Oath of Allegiance [required of all citizens by the new English government that by treaty assumed control of New Amsterdam from the Dutch in 1674 and renamed it New York.] His name appeared again in 1691 and in 1692 on baptismal records. The exact date of Teunis Covert’s death is not known although it is believed that he died at his home in Bedford around the year 1697. He would have been 72 years old. The date of the death of Barbara Covert is unknown. One final comment about our first Covert ancestor in America is worth noting. When Teunis Janse arrived in New Amsterdam in 1653 he was not using the surname Covert nor any of the other numerous variations of that name such as Couvers, Coevert, or Coevors that appeared later in the early Dutch colonial records. Teunis’ use of the name Covert (actually it was Coevers) was not recorded until some ten years after his arrival. The use of surnames was a common practice in England during this period [see Chapter 16 about the Wolcott family for a discussion of the origin of surnames in England], however in other countries in Europe including the Netherlands, the last names were patronymic. That is, the child’s last name was a variation of their father’s proper name or first name. For example, Teunise Jansen (or Janse, Janseen, or Janszen) denoted that he was the son of Jan. Teunise Jansen’s oldest son they named Lucas which then became Lucas Teunise (or Teunissen) or Lucas the son of Teunise. The derivation of the Covert surname is unknown although it is possible that it came from Coevorden, or Koevorde, a fortified town in the Providence of Drenthe, Holland. Obviously, the Dutch in New Amsterdam adopted the use of surnames from their English neighbors in America. Lucas Teunise Covert married Barbara Sprong on August 27, 1682 at the Dutch Reformed Church in Flatbush, Long Island near the home of Barbara’s parents, Joha nnes Spronck and Annetje Sodelaers (my 7th great grandparents). Barbara was born in 1661 shortly after the arrival of her parents in New Amsterdam in 1660. The historical records yield little about the life of Lucas Teunise and his wife. We know that they were to have eight children. 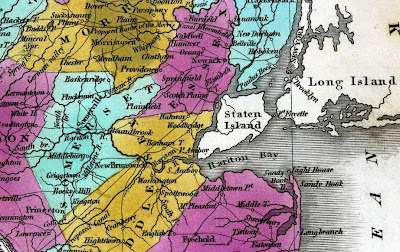 We believe that they lived in Flatbush (located about six miles southwest of Bedford) for several years before moving out to Madnan’s Neck (now called Great Neck) on the coastline of Long Island Sound (about 15 miles northeast of Flatbush on the peninsula located just east of Flushing shown on the map to the right). Lucas Teunise remained in Madnan’s Neck probably working a farm until his early death around 1703. Lucas Teunise’s name is mentioned a number of times in the colonial records most frequently for land purchases that he often made with his brother Hans Covert. His name is recorded for the purchase and sale of land in Bedford in 1697, for the purchase of land in Dutch Kills, Long Island in 1690 and subsequent sale of this land in 1702, and for the purchase of land in Somerset County, New Jersey in 1702. Some historians believe that Lucas Teunise Covert may have relocated to New Jersey before returning to Madnan’s Neck. This is based on the fact that he acquired land there and that some of his children “remained” there, suggesting that the family lived there for a period. While it is possible that he lived there for a short period, his youngest child was only four years old in 1703 and it seems unlikely that he removed his entire family to Somerset County, New Jersey, and then almost immediately turned around and returned to Madnan’s Neck where he died shortly thereafter in 1703 or early 1704. Furthermore, after Lucas’ death, his wife Barbara remarried and moved to Jamaica on Long Island (also shown on the above map) where she died in 1737. Lucas Teunise Covert’s youngest son who was born in Madnan’s Neck on April 9, 1699, was named Lucas after his father. Lucas Covert, the son, is my 5th great grandfather (and Uncle Bob’s 5th great grandfather). While there is no written evidence to support this statement, it would seem certain that Lucas moved with his mother and many of his brothers and sisters to Jamaica, New York when his mother remarried. It is possible however, that young Lucas who was still a baby when his father died may have been sent to live with his Uncle Hans (Jan) Teunise Covert’s family who lived in Somerset County, New Jersey. All that we know for certain is that young Lucas moved to Raritan, Somerset County, New Jersey sometime before February 20, 1728 which was the date of the birth of the first child of Lucas Covert and his wife Hermitien Woertman. The great grandfather of Lucas’ wife Hermitien Woertman, is believed to be an Englishman named John William Workman (my 8th great grandfather) who sometime in the early 1620s emigrated from England to Holland to escape the religious persecution of Puritans, much the same as the Pilgrims did only a few years earlier. Unlike the Pilgrims however, who left Holland and immigrated to America in 1620, John William Workman elected to integrate himself into Dutch society including marrying a Dutch girl in the year 1628. It was John’s son Dirck Jans (Woertman), born in Amsterdam, Holland in 1630 who was the first of the Woertman family to immigrate to America in 1647. Around 1660, Dirck Jans married Marrietje Teunis Denyse in Brooklyn. It is known that he operated the Brooklyn Ferry (many, many years before the Brooklyn Bridge was built) for some period during his life probably following his marriage and he was made a town officer in Brooklyn in 1673. Dirck and Marrietje were to have at least eleven children between the years 1661 and 1686 including my 6th great grandfather, Jan Derick Woertman who was born in Brooklyn in 1665. One interesting side note about Dirck’s wife, Marrietje Teunis Denyse, my 7th great grandmother, is that her sister married Jeronimous Jorise Rapalje, my 7th great grandfather and the son of Joris and Catalyntje Rapalje, the first Rapalje’s in America and the subject of Chapter 1 in our Baker Family History blog. Derick and Marrietje lived their entire lives in Brooklyn, New York. He died in 1694 and Marrietje died in 1690. 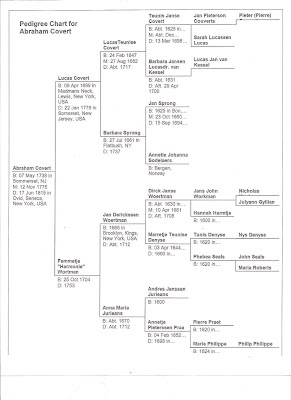 Jan Derick Woertman, the third child and oldest son of Derick and Marrietje Woertman married Anna Maria Andries on January 17, 1690 in Brooklyn, New York. In 1699 the couple with their then three children moved from Long Island to the settlement of Somerville located in the beautiful valley along the Raritan River in north central New Jersey. Their trip to their new home was probably made by boat sailing past Staten Island to the mouth of the Raritan River near Perth Amboy and from their up the Raritan River to the Somerville settlement. In 1699 the Woertman family were among the earliest settlers in this valley “where the fattest deer roamed and 60-pound turkeys could be had for the shooting. This land . . . was the pleasantest and handsomest place a man had ever seen. Huge pines oaks, chestnuts and hickory trees grew there, and a glistening river meandered through meadows and fields of corn.” The land was fertile and no doubt inexpensive especially compared to the cost of land on Long Island. By the year 1704, the Woertman family moved a few miles west to the village of Raritan where they remained a number of years before eventually moving north with their grown children to a new settlement at Pluckemin, located on the north branch of the Raritan River north of Somerville. There they erected a long old-fashioned house made of logs that was to be known for many years as the “Workman Homestead.” Their estate eve ntually consisted of 500 acres. By Woertman family tradition it is believed that one of the descendants of Jan Derick Woertman on this same estate “shod the horses of George Washington and his entourage during the Revolutionary War.” Who knows? Perhaps George Washington even slept at the Workman Homestead. Abraham was about 25 years old when he married his first wife, 23 year old Sarah Clawson in 1763. Unfortunately, Sarah died after only eleven years of marriage in late 1774 or early 1775. Her early death may have due to complications from the birth of their fourth child. Abraham remarried shortly after the death of Sarah in November of 1775. His new wife, Ariann Coshun, my 5th great grandmother, was the widow of Abraham Wyckoff who died early in his life at the age of 33 in 1774. Ariann brought to her new marriage five children that she had during her marriage to Abraham Wyckoff including her son Joshua Wyckoff, who was born in 1767. While Joshua Wyckoff is not one of my ancestors, although I guess he could be called a great step-uncle, he is worth noting in our family’s history because his younger step sister, Mary “Polly” Covert, who married Peter Rappleye, named one of her sons Joshua Wyckoff Rappleye, who was my 4th great grandfather. Apparently Polly most have been very fond of her step-brother Joshua who was nine years her senior. In many of the previous chapters in my family history blog I have discussed the settlement of New York’s Finger Lakes region following the American Revolution. Many of my ancestors on both my father’s side and my mother’s side of my family were early settlers in this area. Abraham Covert with his wife and most of his children from both of his marriages as well as the Wyckoff children, moved to the Finger Lakes in 1790 making them one of the very earliest settlers in this area. 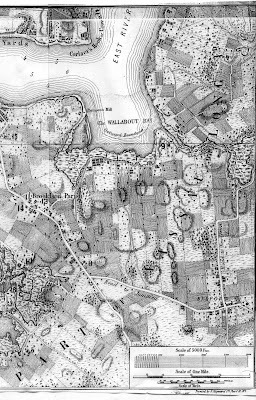 The land that they purchased was one of the military lots located between Seneca Lake to the west and Cayuga Lake to the east, land that had originally been set aside for the New York soldiers of the American Revolution. Much of the land however, had been sold to land speculators who then resold it to new settlers like the Covert and Rappleye families. The Coverts settled on land that is now part of Seneca County. The 1850 map of Seneca County to the left shows the lower three townships in Seneca County: the Town of Ovid, the Town of Lodi, and the Town of Covert. The Town of Covert obviously is named after the Covert family. On the northern border of the Town of Covert is the Village of Farmerville which was later to be renamed Interlaken. The Rappleye family settled in Farmerville in 1797 as mentioned in Chapter 1. In 1790 when the Covert family arrived, the three towns of Ovid, Lodi, and Covert were all part of Town of Ovid (Covert and Lodi were created later in 1817 and 1826 respectively). The first town meeting of Ovid was held on April 1, 1794 at the home of Abraham Covert and the minutes of that meeting record that Joshua Wyckoff, his stepson, was elected the town clerk and Abraham was elected to be one of three town assessors. Also in 1794, the first religious service in the Town of Ovid was held at the home of Abraham Covert. Apparently Abraham Covert had one of the largest homes in the area. Peter Rappleye arrived to this “land between the lakes” with his parents and brothers and sisters in 1797. On November 28, 1799 he married the Mary “Polly” Covert, the oldest daughter of Abraham and Ariann Covert. Polly was twenty-two and Peter was twenty-three when they married. 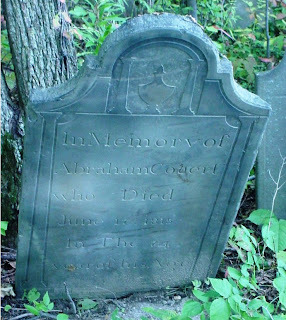 Abraham Covert and his wife owned and operated a large farm for many years until his death in 1815 at the age of 77. Ariann died at the age of 83 in 1826. Abraham and his wife Ariann as well as many other members of their family are buried in an old cemetery near Lodi, New York on a site referred to as the “Abram Covert Farm Cemetery.” Abraham’s gravestone is pictured to the right. Polly Covert, the last of my Covert ancestors died in 1870 and she is buried alongside her husband Peter Rappleye in the Lakeview Cemetery in Interlaken. The impact of the Covert family as well as the Rappleye family in the history of Seneca County cannot be understated. In the Lakeview Cemetery there are buried no less than 88 individuals with the surname of Covert and 100 individuals with the surname of Rappleye. The immigration of families of Dutch origin into upstate New York from New Jersey was very common following the American Revolution and my ancestors, the Coverts, the Rappleyes, and the Harpendings are good examples of some of these early Dutch settlers. I have always suspected that my ancestors with the surname Baker may have also been of Dutch origin although I have never been able to find convincing evidence to support this belief. What we do know is that Francis Baker brought his family from New Jersey to the Finger Lakes sometime in the early 1800s. His first grandson, Charles Schenck Baker was born in Burdett, New York in 1835. The Schenck middle name certainly suggests that there was an ancestor of Dutch (or German) origin in the past. In Asbury Baker’s book “Memories” written in the early 1930s, he wrote that he believed that his great grandmother, Francis’ wife, spoke broken English. Possibly she grew up hearing her parents speaking Dutch. Francis Baker (1787-1864) died in the Town of Lodi and he is believed to be buried in the Lakeview Cemetery near Interlaken. He may have even known Peter Rappleye and Mary Covert during his lifetime. It is easy to assume that the surname Baker was of English origin, but on the other hand it is possible that the surname Baker is an Anglicized version of a Dutch surname such as Bakker? Tot kijk. My name is Abby Workman and I have recently been looking into my ancestry for an online genealogy site. I stumbled across your post while trying to find out some information about the parents of John William Workman, who is my 9th great grandfather. Reading through your post, I believe that my 9th great grandfather and your 8th are one and the same man, so I just wanted to drop a line and say hello to a very distant relative! I have been searching roots for Abraham Covert born around 1822 married to Adeline (Delia, Adelia) Lovett. Delia and most of the family moved to Highland Grove Ont. Canada. Have you any connections. My name is Elsie Hickey Wilson, my gr. gr. grandmother was Mary Elizabeth "Eliza" Cover who was married to Philip Harris Abbott. They were both born in Yates Co. NY and moved first to Steuben Co and then to Bradford, McKean Co. PA. Mary E. Covert the dau. of Abram W. Covert and Sarah____. We believe he was born in 1796 in Columbia co. NY. I'm trying to find links back from Columbia Co. Ny Coverts to the main Covert family. Any help that Covert reserachers that read this can give me I'd appreciate. I learned quite a lot about the early family history from reading this chapter in your blog. Hi a Brokaw decendant here my maternal-grandma Dorthey B Barnett, daughter of Essie G Brokaw. My paternal-grandma Letta LaVerne Brokaw, daughter of Harry T Brokaw. some of my other ancestors involved are both Sarah and Jannetje Rapalje. Jannetje m a Vanderbeek. The Van Vielts are involved the Wycoffs the Polhemus, and Veghts are all my directs any questions email me newattitudes2 at yahoo. ps My Brokaw fam came to Jersey co Ill in the 1840's and then to Montgomery co ill in 1850's. Thank you so much for your very informative article. I am working on my family tree, and I am related to Teunis Jans Covert through Hans Teunis Covert. It has been so wonderful to get a fuller picture of the lives of the family in that generation. Thank you! Adrian Covert here, direct decedent of Hans Teunis. Your blog is very impressive...I've learned that we Covert's were once a pretty impressive clan. Funny, I always thought it was French, but Dutch suits me even better. Thanks again! Great blog! I too am related to John Seales through his daughter Phoeba m. Teunis Nyssen. Your blog is very interesting and informative. I noticed you were a Patterson as well, my Denise line married into the Pattersons of Ontario. My Pattersons were originally from Ireland, Patrick Patterson and Honora Ryan. Finding distant cousins can be so much fun! You've done such a good job writing up the intertwined histories and biographies, love the illustrations, great post! Hi! Good job on the Covert story. I bought a copy of THE COVERT FAMILY by Carl W. Fischer, William V. Covert, and Maurice L. Patterson in November, 2012 from the Interlaken Historical Society. The reprints were only $35.00, and are a valuable reference for Covert researcher/family members. In November, 2013 on a trip to New England and New York state, we were able to take a side trip and drive to Covert, Interlaken, Ovid and Lodi. Such beautiful, interesting country! We found the mayor, Mr. Larson, at the local convenience store and had a wonderful chat about the area. He is retired from the post office, and he told us there are still lots of Coverts in the area. After many miles and lots of pictures taken of local landmarks, we made our way back to our hotel in Buffalo and flew home to California the next day. My husband, Dennis Covert, is descended, also, from Abraham Covert. His line goes from Abraham to Abram, John, Augustus, Carle, Woodrow, and finally, Dennis. The Covert line continues here in California with our son, Tobin, and our grandson, Aaron, who is 13 years old. This was very very awesome to read! I’m also from this line Teunis is my 10th great grandfather! Lucas Teunis (Barbara Sprong so) is my 9th, then Lucas, then Isaac, then John I (md), Peter, Claudis, James, then my Great Great Grandmother Estella, great grandfather Clarence, grand father Roger Covert and my father Roger Covert! There are MANY Covert’s still here in Covert, NY. My middle name is Covert my sons middle name is Covert. We are keeping the Covert name alive and well! Awesome job here! !